It is a critical mission for international companies, especially manufacturing companies, to locate in large markets in order to ensure the continual development of their businesses. Regardless of their base locations, manufacturers in both advanced and developing countries need to look overseas to expand their markets and ensure that their products will be positioned for sustained global success. Despite the remarkable consumption growth in China and other developing countries, the United States is still the largest single market in the world. By GDP converted to purchasing power, the U.S. occupies 20% of the world economy, thus demonstrating the overwhelming strength of the U.S. market. The U.S. Obama Administration is currently making efforts to support manufacturing by providing enormous amounts of government financing. The scale of this financing has companies from Europe, Korea, Japan, and elsewhere attempting to secure manufacturing bases in the United States. Successful business development in the United States will be critical for the survival of any international business, and it is therefore imperative that they obtain a manufacturing presence in the U.S. Setting up a U.S. manufacturing base is key to establishing a stable status as a successful global company. International manufacturing companies from every country have long strived to establish their own American industrial base. Even during the recent global recession, companies like Siemens, BMW, LG, Nissan, Volkswagen, Mitsubishi Heavy, and JBS chose to increase their manufacturing presence in the U.S. Numerous multinational companies can attest to how the establishment of an American manufacturing base dramatically impacted their position in the global marketplace. One such company is Toyota Motors. Toyota established their NUMMI facility in California through a joint venture with GM in 1984, and they built an independent vehicle assembly plant in Kentucky in the late 1980’s. Since then, Toyota’s business achievement has been remarkable. They capped this achievement by finally outshining GM and gaining the title of the No. 1 automotive manufacturer in the world. International companies of all sizes have chosen to develop their businesses throughout the U.S. The scope and size of these developments are quite impressive. These developments are not limited to times of economic prosperity either. From 2008 to 2009 net FDI to the US grew an almost $290 billion. This persistent growth clearly indicates that successful companies understand that the U.S. market cannot be ignored. 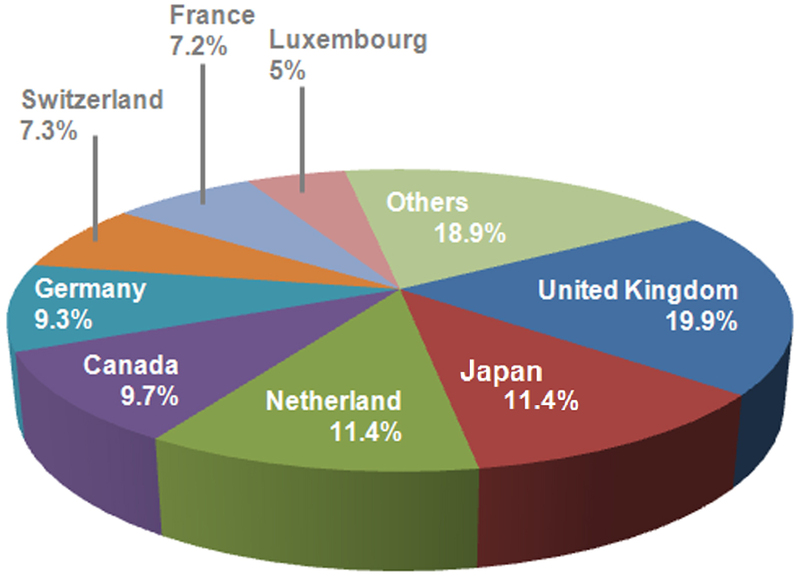 ・ The varied make up of Direct Investment to the U.S. shows the amount of global confidence in the U.S. market. 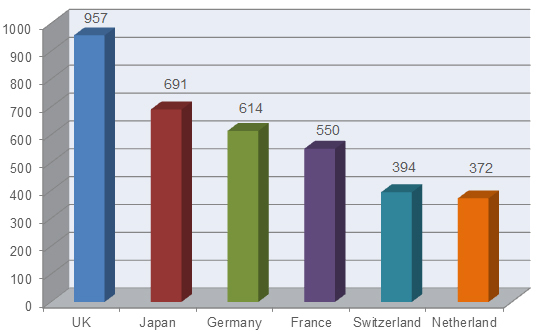 ・ The UK, Japan, and Germany are the top countries for foreign nationals employed in the United States. Ratio of Direct Investment to the U.S. by Foreign Companies Number of Foreign Nationals Employed in the U.S. Thanks to its pro-business attitude, substantial incentives and dominating market size, companies from around the world see the United States as a most attractive country in which to invest. It is a great advantage to any manufacturer to develop and stabilize their business in the U.S.
For details, please contact the Snavi office.